For his final-year project, Aerospace Engineering student, Hemant Chudasama is investigating the flying wing of Team Bath Drones' Unmanned Aircraft System. Each year, Team Bath Drones designs, build and tests an Unmanned Aircraft System (UAS) for entry into the IMechE UAS Challenge. The competition tasks students to develop a drone in response to a real-world scenario. It judges entries on their innovative approach, safety and airworthiness, construction, quality, environmental impact and business proposal. 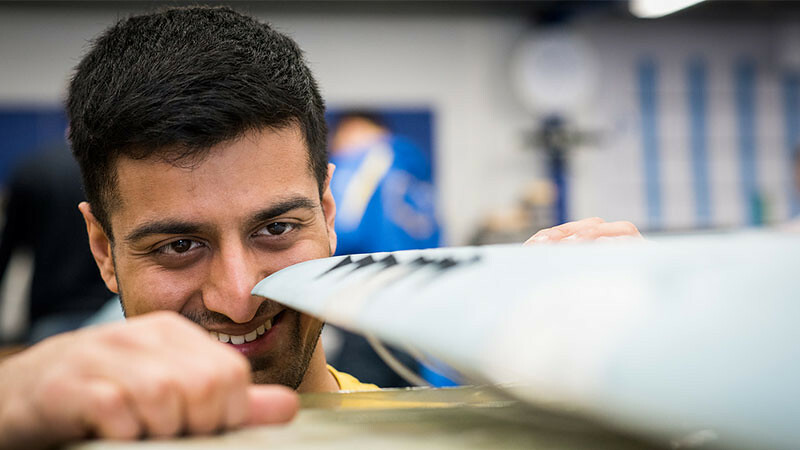 For Hemant, being part of Team Bath Drones was a natural fit: "Since I was young, I always thought it would be fun to design and build an aircraft, but assumed I didn't have the ability. Being able to do this in my final semester of university is very cool although we also know we have a competition to go and win!" Under Project Manager Alex Powell, the team is developing a drone that can deliver humanitarian aid after a natural disaster. Their drone will have to transit along a pre-planned route to the devastated area, using image recognition to identify the drop zone. It must then return to base via a different route to refuel and reload. Members of the team take on various roles depending on their technical speciality including control, target recognition and landing systems, power, structure and aerodynamics. Hemant is working on the aerodynamics of the flying wing. "My final-year project investigates standard and novel methods to improve our wing's lift characteristics. This involves wind tunnel testing with different conditions to assess how effective the adaptations to the drone are. We aim to optimise our drone, Artemis, for all the competition tasks, whilst adding our own unique flavour to the design. "My secondary role is the Youth and Public Engagement Manager for the team. This is about involving younger students and the public in our development. We are encouraging enthusiastic younger students to take part in the evolution of our drone, giving them a chance to gain new skills." The project is a chance to develop practical skills like project management, budgeting and teamwork. "Planning is vital - taking into account the different situations that could arise. I found contingency plans incredibly useful for this project as well as in life in general. Since the project is within a team environment, it's important to support each other so we all progress together. "I love the fact that I am able to apply theoretical knowledge from my degree towards something that will end up flying very soon! Learning from other people is also great as we get to pool together resources and experiences that we would not have otherwise had." Team Bath Drones is made up of Aerospace Engineering, and Integrated Mechanical and Electrical Engineering students. Find out more about Team Bath Drones on their website or follow them on Facebook. 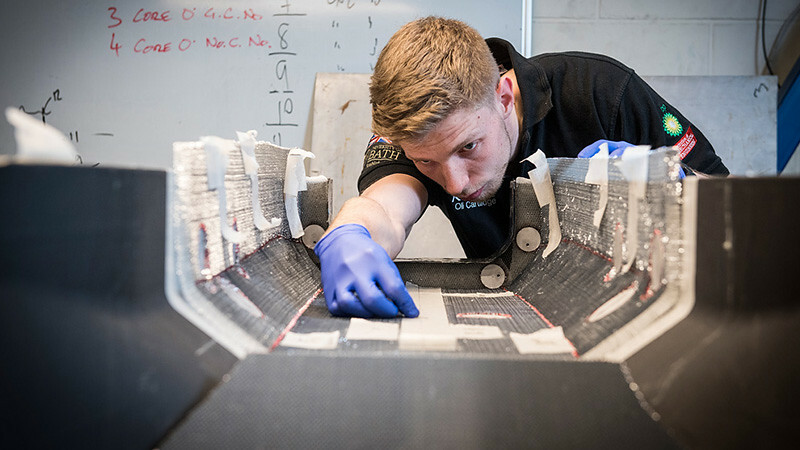 Team Bath Drones is a group of final-year students at the University of Bath working to create the ultimate autonomous Unmanned Aircraft System (UAS) to compete at the IMechE UAS Challenge. Team Bath Drones from University of Bath on Vimeo. Find out more about mechanical engineering projects. Nadia Domanski tells us how her experience of project managing the build of an electric superbike improved her confidence and helped her secure a graduate job. Oli Cartlidge joined Team Bath Racing in his first year of university and is now working as the team's Chassis Manager. 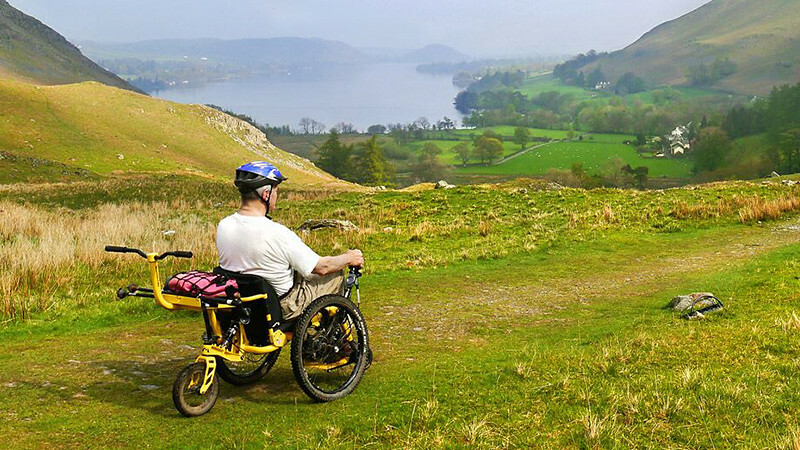 Tim Morgan's all-terrain wheelchair, the Mountain Trike, started life as a final-year design project at Bath. It's now a thriving small business.